BRIGSBY BEAR TELLS A MUDDLED STORY OF FANDOM, KIDNAPPING, AND MUSH. If you’re as nerdy as me, and I pray you are, then you already know how your favorite TV show or movie can become sort of, well, more real than real. For me it was Star Wars, the specifics of which provided endless fodder for discussion and debate. My equally nerdy friends and I could argue for hours about the lives of minor characters, or the schematics of made-up weapons. James Pope (Saturday Night Live’s Kyle Mooney, joined by several other SNL notables), the protagonist of the film Brigsby Bear, is obsessed the titular TV show about a space-faring bear. At more than 700 episodes, the adventures of Brigsby Bear have been running for years and years. Pope himself admits that the children’s show wasn’t always great; it started as a show for little kids before adopting the complex storylines and subtle world building that kicked in when, as he puts it, “the show got good”. Pope remembers every detail of his favorite show, referencing it constantly, rewatching his favorite episodes. But, and here’s the rub: Brigsby Bear isn’t a real TV show. Or rather, it was made solely for James by the people he thought were his parents, but, it turns out, are really his kidnappers (Mark Hamill and Jane Adams). For twenty-plus years, his kidnappers have been producing a television show for his eyes only while telling the boy that he is a survivor of a science fiction doomsday scenario and that the outside air is poisonous. Think “10 Cloverfield Lane” by way of Sesame Street. As Pope meets new people, including his actual parents and the detective assigned to his case (a cuddly Greg Kinnear), he begins to spread Brigsby Bear around. Inevitably, it goes viral. 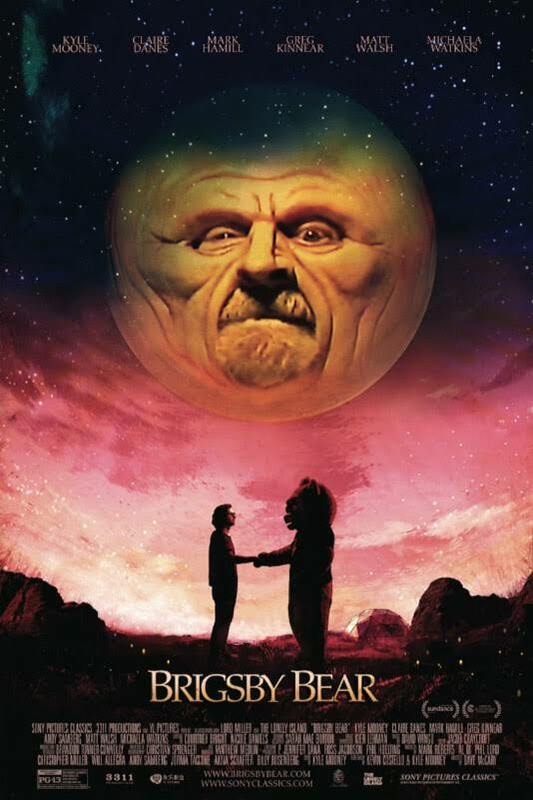 This creative, if bizarre, scenario would seem to suggest that Brigsby Bear has something to say about the way we dream now, and about how intellectual properties can come to supplant reality, or in the very least color it, as Star Wars did (who am I kidding, still does) for me. It’s a shame then thatBrigsby Bear comes increasingly to resemble any number of “quirky” coming of age comedies despite its audacious set up. In fact, by the time the movie wends its way to its surprisingly mushy conclusion, all shots of people crying through big hugs, you kind of wish that Brigsby Bear was more concerned with its own premise, and less concerned with being a vehicle for disappointingly normal plot points. And though the third act love-fest that concludes the film may not irritate you, it did me. Now, if you’ll excuse me, I’m going to go watch The Empire Strikes Back and pretend I’m all the characters.